People will be allotted in different structures b & b. 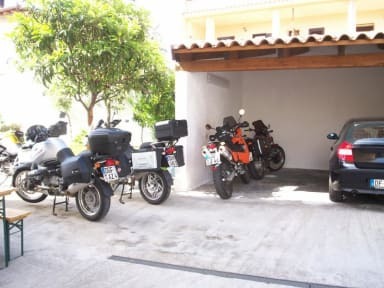 We have rooms with private bath, breakfast room, dedicated parking, garage for car parts, motorcycles and bicycles. Not available \'s kitchen, is not\' can cook meals and foods. And stock the refrigerator. It can use your microwave only for reheating already ready. The rooms have air conditioning or heat pump. Wi-Fi Internet Access in all indoor and outdoor use. We have a ground floor room for people with mobility problems.